Best Prices on Sharpening Guaranteed. If you can find better prices online, WE WILL Match THEM! Cold Saw Blade Store has the CNC sharpening equipment to provide superior service, quality, and consistency to our customers in need of cold saw blade sharpening. Don’t trust your cold saw blade sharpening to just anyone, trust us, over 30 years in the cold saw blade business. Our cold saw blade sharpening will have your blades cutting like new in no time. Same day service to ensure your blades are back in your facility in a timely manner. We sharpen blades that range in diameter from 60mm to 1250mm (2 ½”-49”). 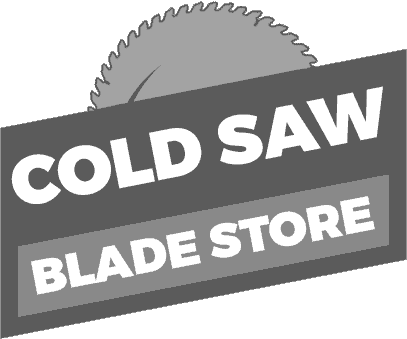 Cold Saw Blade Store has been providing cold saw blades and CNC sharpening for over 30 years. Experience the same precision cut and life of a brand new saw blade. If you are having problems with saw blade life or cutting precision, its probably time to have your blades sharpened by the best in the business, Cold Saw Blade Store. The Cold Saw Blade Store staff, with more than 30 years of cold saw blade experience, is the most important part of our process.All cold saw blades get ran where our trained sawsmiths check for runout (side wobble) and dish (cupping). Blades requiring the difficult art of hammering (correction of runout & dish) receive it at no additional charge.Your blade then enters our high-tech sharpening department with over $2 million in modern equipment. 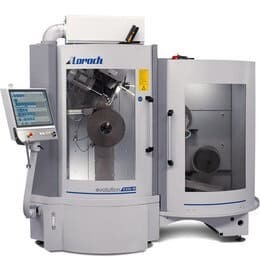 Critical dimensions are measured, a unique program is written, and the blade is mounted and ground on our brand new Kentai 4-Axis CNC (computer numerically controlled) cold saw grinder. Every cold saw blade, or cold cut blade, is ground with proper & specific geometry for the type of material application. Our CNC ground blades will outperform blades ground on inferior, mechanical gear-driven machines still used by a majority of saw shops.Finally, your blades are cleaned, re-inspected, marked for proper use, specially packaged to protect sharp edges, and shipped back to you in 1 day or less. 13" - 14" $16.00 ea. 17" - 18" $20.00 ea. 19" - 20" $22.00 ea. Carbide Tipped Saw Blade SharpeningCarbide tipped saw blades are sharpened on the finest grinding machines using ultra fine diamond grit wheels. Blades are inspected, flattened (if necessary), polished, sharpened and dipped in protective wax. Some blades are retoothed to replace broken or missing tips. Extremely tight and accurate grinding tolerances ensure that your blade cuts like new or even better. Minimal carbide removal allows for some blades to be sharpened as many as fifteen to twenty times before the blade needs replacing, compounding savings on each blade while maintaining like-new performance.Cold Saw Blade SharpeningCold saw blades are sharpened on German manufactured CNC sharpeners which ensure that each blade is sharpened to extremely tight tolerances to a super fine finish. CBN grinding wheels produce consistent tooth shape and finish to achieve maximum cutting life between sharpenings. Poorly sharpened blades will dull prematurely while properly ground cold saw blades cut like new, without the expense.HSS and Steel Saw Blade SharpeningSteel saw blades are sharpened on the same state of the art CNC grinders as cold saw blades and feature the same quality and consistency. Minimal steel removal allows for some blades to be sharpened as many as twenty times before needing to replace the blade, bringing new blade performance back to your old blade without the new blade cost.